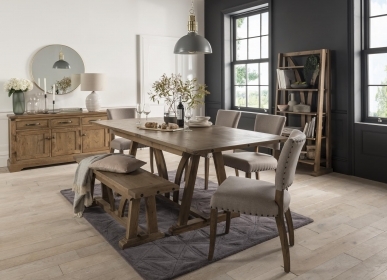 The Rustic single pedestal dressing table is a splendidly designed dressing table with three drawers that provide an ample amount of storage. 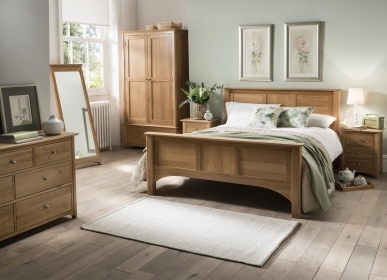 Elegant, with a traditional feel, it is handmade from premium, hard-wearing American White Oak and comes supplied in a lacquered rustic finish. 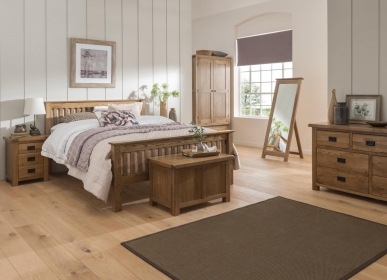 An ideal choice for any bedroom, the table has dovetailed jointed drawers and tongue and groove backs and bases.